The various fantasy realms that players may use when they play 5th Edition can have all sorts of gods and goddesses floating overhead or deep underfoot. Highly religious characters might even draw their power directly from these deities. But what if none of the current pantheons really do it for you? That's where Gods and Goddesses comes in. It's a new 5th Edition supplement that's up on Kickstarter now. It greatly expands your object of worship options. 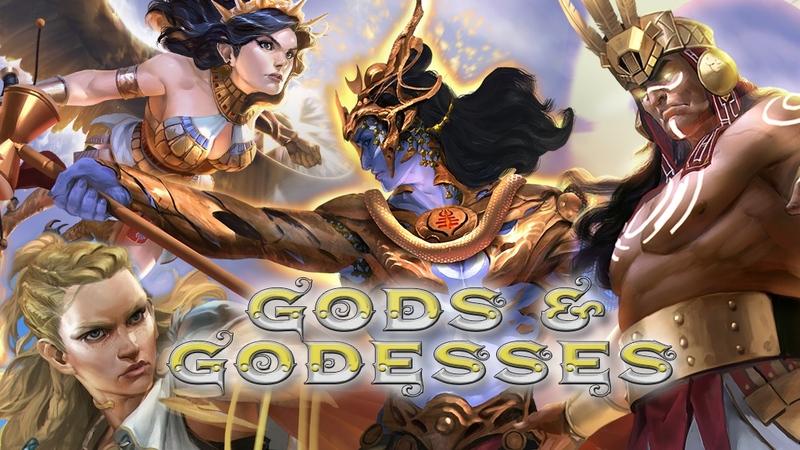 Jetpack7 / Conceptopolis, the award-winning studio which helped design the new look of 5e, as well as a ton of art in its official books, is pleased to present Gods and Goddesses. Gods and Goddesses will feature classic deities for use as a 5th edition (OGL) supplement. Inside, you will find Cleric and Paladin player character options to bring in rich levels of diversity to your new or current game. Present them as "new gods", or as "old gods" that have returned to the world. It's up to you. Change the course of events by inserting these new deities in with a surprising bang, or reveal them slowly over time. These are contemporary portrayals of well known Gods and Goddesses of antiquity that can be inserted into any 5th edition campaign setting. What better way to add some vibrant diversity to such a wonderful game? Certainly, some of the names will be familiar, but this is your world where you can find out how these new Gods and Goddesses will have an impact beyond what has ever been seen before.